Wanted by no one. Hunted by everyone. Sixteen-year-old Nathan lives in a cage: beaten, shackled, trained to kill. In a modern-day England where two warring factions of witches live amongst humans, Nathan is an abomination, the illegitimate son of the world's most terrifying and violent witch, Marcus. Nathan's only hope for survival is to escape his captors, track down Marcus Wanted by no one. Hunted by everyone. Sixteen-year-old Nathan lives in a cage: beaten, shackled, trained to kill. In a modern-day England where two warring factions of witches live amongst humans, Nathan is an abomination, the illegitimate son of the world's most terrifying and violent witch, Marcus. Nathan's only hope for survival is to escape his captors, track down Marcus, and receive the three gifts that will bring him into his own magical powers—before it's too late. But how can Nathan find his father when there is no one safe to trust, not even family, not even the girl he loves? 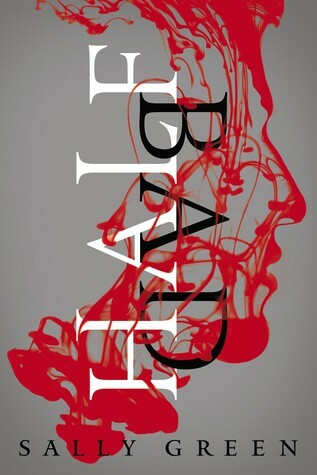 Half Bad is an international sensation and the start of a brilliant trilogy: a gripping tale of alienation and the indomitable will to survive.